We Are Learning to explain the order of events in a text. 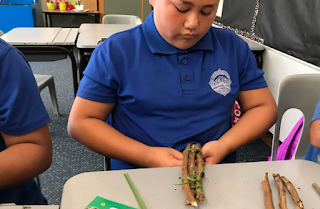 In Goosebumps we made a raft out of sticks, flax and some string. Dominic and Kain worked on the sail. The sail was made out of flax and Leanah, Konzay and I made the raft out of the sticks and the flax but the flax was thin. After that we made it we put it together and it made a raft.